Six soldiers and two civilians were indicted Wednesday on charges they conspired to steal and sell Army equipment, from printer ink to machine gun parts and the sight for a grenade launcher, on eBay. 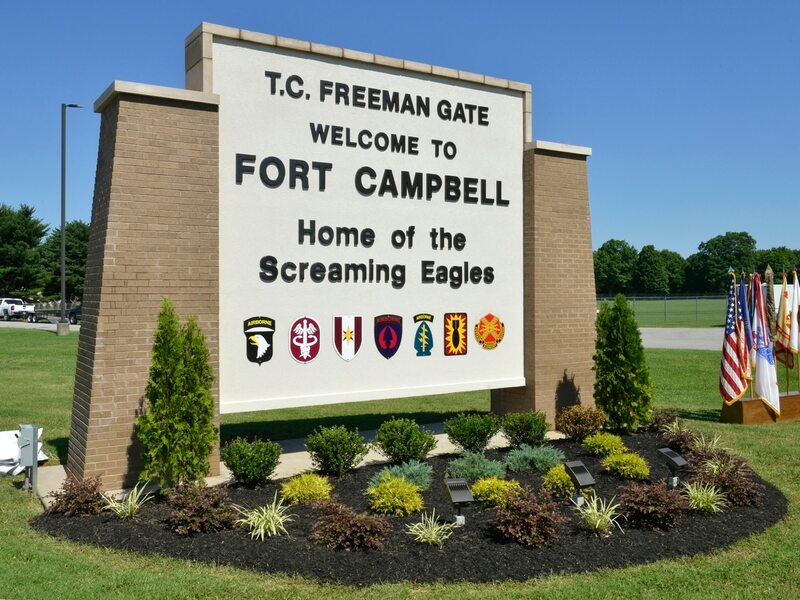 Soldiers Michael Barlow, Jonathan Wolford, Kyle Heade, Alexander Hollibaugh, Dustin Nelson and Aaron Warner, all stationed at Fort Campbell, were named in the indictment unsealed on Thursday. Also charged are civilians John Roberts and Cory Wilson, both of Clarksville. U.S. Attorney for the Middle District of Tennessee David Rivera is expected to formally announce the charges at a news conference at the federal courthouse in Nashville Thursday afternoon. U.S. Attorney for the Middle District of Tennessee David Rivers addresses the media on the Fort Campbell indictments on Oct. 6, 2016, in Nashville. According to the indictment, the eight charged "sold certain U.S. Army equipment that is never offered for sale by the U.S. Department of Defense as surplus" in 2013. The men sold "firearm components, advanced communications headsets and laser or optical sights." The equipment was classified by the Defense Department as "DEMIL D," meaning that it must be destroyed by the military and cannot be sold elsewhere. The value of the equipment stolen and sold by the group totaled more than $1 million, according to the indictment. The equipment was stored in warehouses and storage units around Clarksville, and was listed for sale online by Cory Wilson and John Roberts, civilians who live in Clarksville, the indictment says. In May 2013, Roberts exchanged messages with someone listed in his phone as an E5, a sergeant, to arrange buying helmets and tactical vests, the indictment reads. "Where i just got that sh-- was craaaaazy risky," the sergeant texted. "I can only imagine," Roberts replied, according to the indictment. "I wondered about that. I imagine its (sic) pretty locked up." Even eBay caught on, the indictment says, and went after the sellers for wrongly listing items for sale and trying to sell components of assault weapons. The items were then sold on eBay to buyers located in the U.S., Russia, China, Hong Kong, Kazakhstan, Ukraine, Lithuania, Moldova, Malaysia, Romania and Mexico, the indictment reads. Roberts, of Clarksville, was charged with conspiracy, two counts of violating the Arms Export Control Act and 10 counts of wire fraud. Wilson, aka Jason C. Wilson, of Clarksville, was charged with conspiracy, money laundering, violating the Arms Export Control Act and seven counts of wire fraud. Michael Barlow, U.S. Army sergeant, was charged with conspiracy, three counts of theft, receipt and unauthorized sale of government property. Jonathan Wolford, Kyle Heade, Alexander Hollibaugh, Dustin Nelson and Aaron Warner, all U.S. Army specialists, were charged with conspiracy.